Silverstone Grand Prix Circuit welcomes the prestigious Blancpain Endurance Cup this weekend, 19th/20th May, where Welsh race ace Seb Morris will be mounting the strongest possible challenge for a first Pro-Am class victory in the pan-European championship. 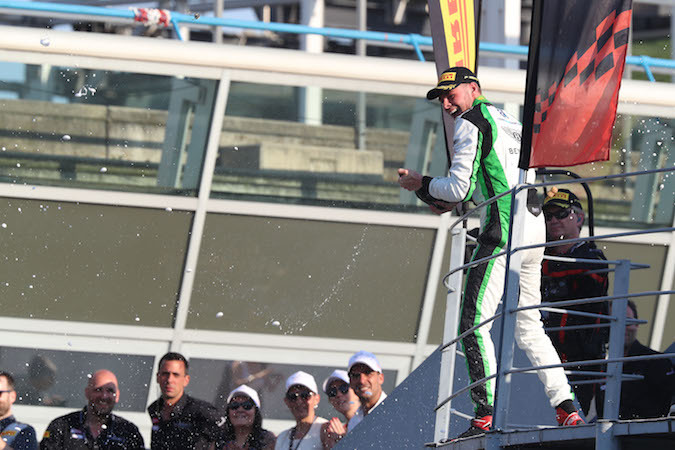 Chester-based Morris, the reigning British GT Champion, heads into round two of the season on cloud nine after an outstanding start to life in Blancpain three weeks ago at Monza in Italy where he and team-mates Rob Smith and Derek Pierce scorched to a tremendous Pro-Am podium. Taking the class runner-up spot in race one of the 2018 campaign, British Racing Drivers’ Club Superstar and MSA Team UK driver Morris is brimming with confidence heading into his and Team Parker Racing’s ‘home’ event and is setting his sights high for the eagerly awaited three-hour race. 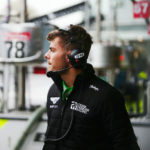 “I think a lot of people were taken by surprise with how quick we were at Monza”, said the Bentley Continental GT3 driver, “Our entry into the championship was obviously quite late, we hadn’t really had much testing, and yet we came through to finish P2 in our first race which was pretty faultless. 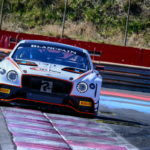 While many in the Blancpain paddock may have been somewhat caught-out by the stunning performance of Morris last time out, the competitiveness of the No.31 Bentley and the team as a whole was no surprise at all to the Welshman. Indeed, while second in Pro-Am was an outstanding result the signs were there for all to see from practice and qualifying – especially in qualifying. Only just missing out on the Pro-Am pole position at Monza, 22-year-old Morris’ blistering pace meant he lapped a stunning fourth fastest overall and just 0.2 seconds shy of the outright pole against some of the globe’s premier ‘factory’ drivers. 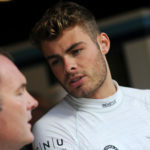 Silverstone Grand Prix Circuit, of course, is a track where Morris – who gained a whole new fanbase recently while starring on reality TV show Celebs Go Dating – has enjoyed some tremendous success in the past. 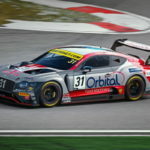 Not least last year when, along with then team-mate Rick Parfitt Jnr, he dominated the three-hour British GT Championship race at the home of the British Grand Prix. Taking victory by an incredible minute and a half, the Bentley Continental driver is determined to replicate similar scintillating form. Free Practice for the Blancpain Endurance Cup runners at Silverstone will take place at 10.45 on Saturday, 19th May, with Pre-Qualifying following at 15.45. On Sunday, 20th May, final Qualifying will begin at 09.45 with the big race itself scheduled to commence at 15.00.